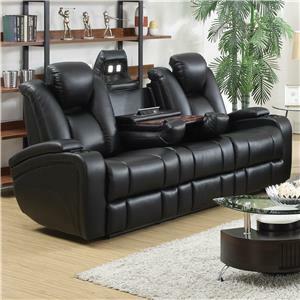 Comfortable and contemporary the Delange power reclining furniture collection will take your entertainment room to the next level. 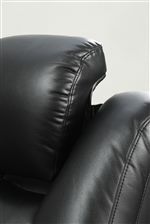 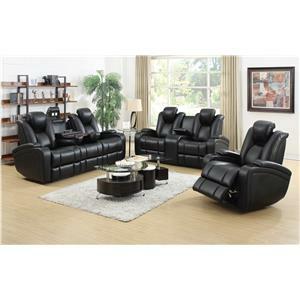 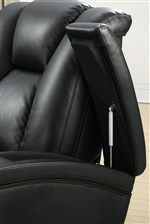 Padded black leatherette upholstery offers a versatile appeal to your decor. 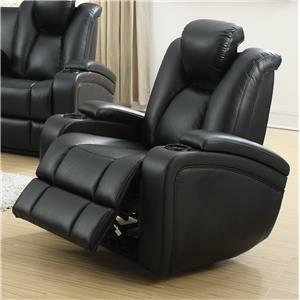 Among the numerous high-tech features include arm rest storage, adjustable head rests, light up cup holders and additional console storage options. 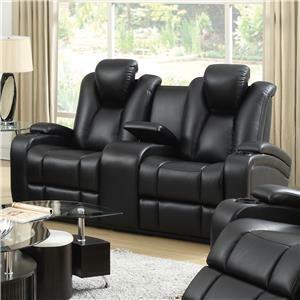 Browse other items in the Delange collection from Value City Furniture in the New Jersey, NJ, Staten Island, Hoboken area. 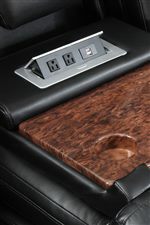 Power Controls and USB Charger. 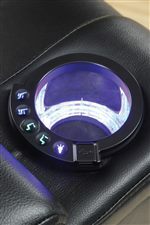 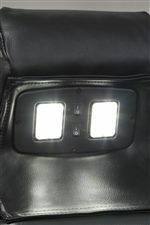 Light Up Cup Holders.